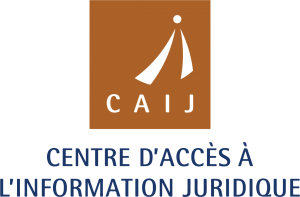 Doyon Avocats is proud to announce the signing of a partnership with the Centre d’accès à l’information juridique aimed at making their publications on criminal law more accessible. The CAIJ provides its users with a criminal and penal law section containing articles on this subject. These articles are primarily intended for the legal community. Over the next few weeks, over 250 articles from Doyon Avocats will be posted on the CAIJ website. Félix-Antoine T. Doyon and his brother François-Xavier T. Doyon are the principal authors of these articles. Doyon Avocats is a criminal and penal law firm in the city of Québec that has been growing over the last few years. lenient sentences for sexual assault. Listen to the audio clip with the host Josey Arsenault. 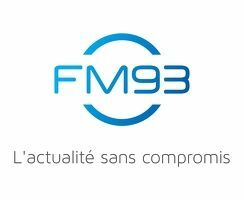 The host Mario Tremblay interviewed Félix-Antoine Turmel Doyon about the trial of the former Mayor of Laval, Gilles Vaillancourt, and Louis Aucoin about the election campaign. 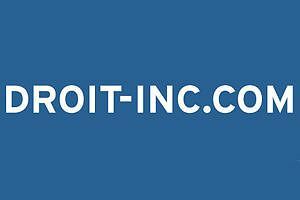 Doyon Avocats has entered into a partnership with Droit-Inc.com as a privileged partner for the 2016-2017 year. 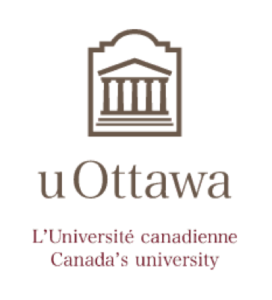 Félix-Antoine T. Doyon has received the Haykal-Sater Prize from the University of Ottawa for writing the best French-language thesis. Mr. Doyon specializes in cases involving national security law. Here is the article in question, which is now accessible to the legal community. Félix-Antoine T. Doyon, « Le certificat de sécurité toujours contraire à la Charte : Étude de la norme de preuve du régime de détention applicable » (2011) 43.2 OLR 165 pp. 269-303. Mr. Doyon actively publishes articles on his national security law blog. We were interviewed by Droit-Inc about the Guy Turcotte case. “As a lawyer but also and above all as a human being, I was uncomfortable with the initial verdict,” said Félix Antoine T. Doyon, who practices with Doyon Avocats in Québec. In the Greater Québec area, we now practice in a group of independent lawyers called Labrecque Doyon Avocats, which also specializes in criminal and penal law. The Firm mainly works in the field of criminal and penal law in Québec. It was founded by Gervais Labrecque along with Félix-Antoine T. Doyon and François-Xavier T. Doyon, who are also part of a firm working in the field of criminal and penal law called Doyon Avocats, Inc. These lawyers ensure that each client benefits from a fair legal process, and they strive to rigorously assert your rights with a high degree of professionalism. Their concern for detail and their belief in the principle of the presumption of innocence ensures that they possess the necessary expertise to go to trial and to launch the appeal process. We’re pleased to announce our partnership with Alliance Jeunesse (Chutes-De-La-Chaudière). While AJ’s mission is to support and assist young people, ours is to provide legal services that are accessible to all. In addition, AJ’s values and ours are linked. In short, the human approach is the cornerstone of both of our organizations. Doyon Avocats is a boutique firm that provides services in the field of criminal and penal law. Our services are regularly retained by people charged with various criminal offences. On one hand, we offer to make ourselves reasonably available to you to answer your questions about everything that directly or indirectly affects the police community. Our firm is trained both in criminology and in the very specific field of criminal law. On the other hand, four times per year, we publish a short article on a subject of interest to the readers of VIP Magazine. The article may be inspired by judicial developments, an idea from the author, or – even better – one of your questions or suggestions. 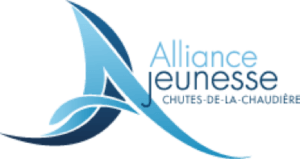 Alliance-Jeunesse is a not-for-profit organization. We’re proud to support this scholarship in 2017. Doyon Avocats supports the Leslie C Green Scholarship in International Humanitarian Law. Doyon Avocats was interviewed by Droit-Inc about the topic of criminal law and technology. These two lawyers couldn’t practice without their electronic tablets. Indeed, these twin brothers have put technology at the heart of their practice. Droit-Inc met up with them!